99% of fake Apple chargers fail basic safety tests | What Hi-Fi? Apple has complained of a "flood" of fakes being sold on Amazon - and they could be a fire hazard. If you're thinking of saving some money by buying a cheap charger for your Apple device, you might want to think again. Back in October it was revealed that Apple was taking legal action to counter the "flood" of fakes on sale on Amazon. And now investigators have revealed that the vast majority of these fakes fail a basic safety test. Of 400 chargers tested, only three had the requisite insulation to protect against electric shocks, the BBC reports. Trading Standards comissioned the tests, which were carried out by American safety consulting and certification firm UL. UL tested fake Apple chargers it bought from eight different countries around the world, including the US, China and Australia. It applied a high voltage to the chargers, to see how they would react. Trading Standards said the only way to be safe was to buy electrical goods from trusted suppliers. "It might cost a few pounds more, but counterfeit and second-hand goods are an unknown entity that could cost you your home, or even your life, or the life of a loved one," said Leon Livermore, chief executive of Chartered Trading Standards Institute. Gillian Guy, chief executive of Citizens' Advice Bureau, urged consumers to look out for signs a product was fake. "Look out for tell-tale signs of counterfeiting such as mistakes in brand names or logos, and check plugs for safety marks - all genuine electrical items made in the EU should have a CE mark on them," she said. 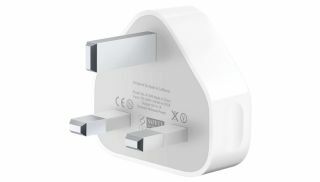 Other warning signs include plug adaptors not fitting into the socket properly (there should be at least 9.5mm between the edge of the plug pins and the edge of the charger), and a lack of official instructions containing conditions and limitations of use, and safety guidelines. The lawsuit brought by Apple back in October was against a company called Mobile Star LLC, who Apple accused of copyright infringement for claiming its chargers are made by Apple. Apple said of 100 chargers it bought from Amazon, 90 were fake.